Events in Wiltshire in April and May with the spring sunshine, showers and flowers bringing us all out and about. 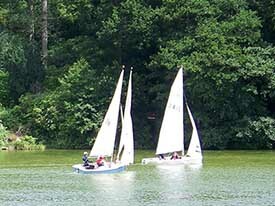 Festivals and Fairs, cycling events, a major canoe event and racing in Salisbury. Kennet and Avon Canal, Devizes. The Devizes to Westminster International Canoe Race April 2019. Starts in Devizes, Wiltshire and finishes at Westminster Bridge in London. 125 miles that tests the very stamina and skill of the competitors. 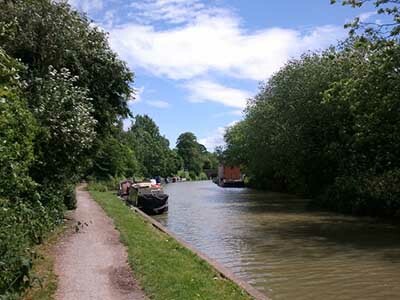 52 miles along the Kennet and Avon Canal as far as Reading. Then to the Thames at Teddington about 55 miles. The last 17 miles is tidal along the river. Quite a feat. Why not spend a short break and take the family to Longleat House and Safari Park. Swindon Festival of Literature 6th to 19th May 2019. Racing at Salisbury 2nd, 16th and 25th May 2019. Chippenham Folk Festival 24th to 27th May 2019. Something to sing about!! Salisbury International Arts Festival Salisbury International Arts Festival has merged with Salisbury Playhouse and Salisbury Arts Centre to form Wiltshire Creative. Salisbury International Arts Festival will take place on 24th May to 9th June 2019. Devizes Festival 31st May to 16th June 2019. A Music and Arts Festival in various venues in the town. Marlborough. A delightful ancient market town with the second widest High Street in Britain. So many picturesque buildings. See that old building with its still visible entry for coach and horses, it is easy to imagine the town as it was and yet...... those wonderful shops, that vibrant town. Devizes. A market town with 500 listed buildings - yes 500!! There is still a market in the town and has been for centuries. Makes a good touring centre for Stonehenge or Avebury. The original Devizes Castle was one of those that Cromwell knocked about a bit and the present one is of Victorian times. Salisbury Plain. 300 square miles of it. Some of it nowadays is used as a Ministry of Defence Training Area. It is a rich area of archaeological interest with Stonehenge, Avebury and Durrnington Walls to name only a few. There are two National Nature Reserves on the plain. Amesbury is another good place for touring such places as Stonehenge. There are several villages with the name Deverill as part of it. They are in a lovely valley not far from Warminster. Kingston Deverill, Monkton Deverill, Brixton Deverill and Longbridge Deverill. 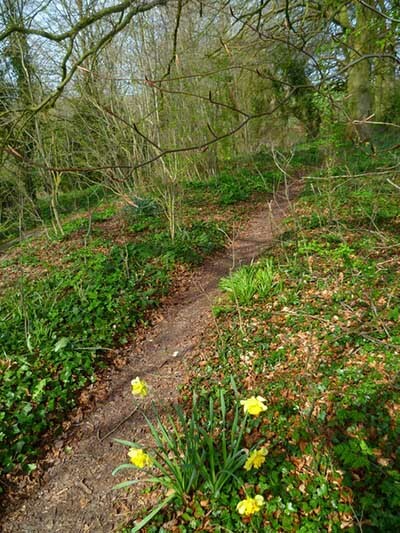 The River Deverill runs through the valley and becomes, with the Shearwater Stream, the River Wylye at Crockerton. Salisbury. Wiltshire's only city. It is ancient place with a beautiful Cathedral and architecture from all the centuries since. Five major roads meet at Salisbury which gives it wonderful access. It is certainly an area with plenty going on. Swindon. It was an important railway town. Now some major companies have made Swindon their HQ. Lively music scene. Chippenham. A market town. It has a history back to the Anglo Saxons and Alfred the Great had a palace there. Good place to live or visit, historic and yet dynamic. The National Trust village of Lacock is not far away. The local area has been a feast of sets for many TV dramas and films. Erlestoke. Not far from Devizes and a most attractive village. Some of the village looks older than it really is as it was reorganised and rebuilt by Joshua Smith, a politician, in the early 1800's. On the west side there are still cottages from the 16th and 17th century. Smith's new manor house was destroyed by fire in the 1950's and is now a male prison.